MoMA Exclusive: Stand out in the rain with this bold, transparent stick umbrella that features Kusama’s legendary dots motif and LOVE FOREVER illustration. This large vinyl umbrella measures 39 inches in diameter when opened and the artfully curved handle provides a distinctive flourish. The rust-proof bones are made from resin instead of metal giving the umbrella excellent elasticity and long-lasting durability. 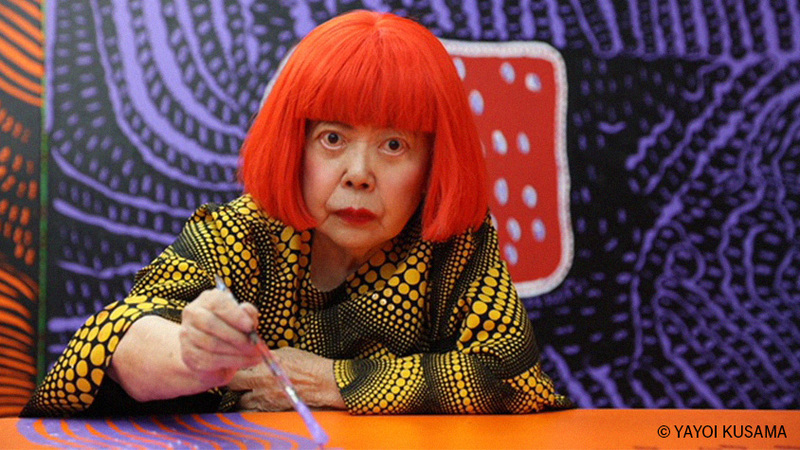 Yayoi Kusama is an artist represented in MoMA’s collection. Available with red or blue dots.